I am cleaning out my basement and pulling out my Christmas decorations at the same time. Like soup and sandwiches they seem to go together. This year I am trying....note trying, to be more methodical about it, purging and organizing as I go. I came across a box of mason jars I brought back from Indiana when my sibs and I were clearing out my family homestead this summer. Serendipitously, I came across this item on EMMALINE BRIDE outlining 17 CHRISTMAS MASON JAR IDEAS...some of which are really clever...and not too cutesie. I do so love the attractive practicality of mason jars, don't you? 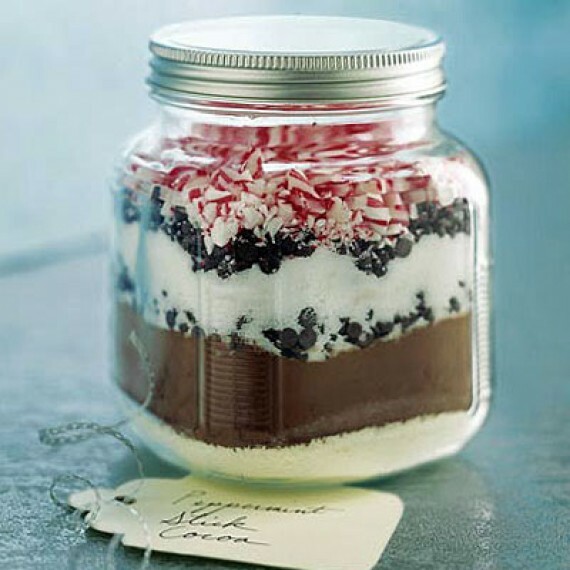 The image here is from their site....PEPPERMINT HOT COCOA IN A JAR. Guaranteed to elicit a smile. I think I might need to recruit some of those jars in the basement for just such a purpose.